A modern-day adventure in step with today’s tastes, cycling tourism is the latest thing in travel. 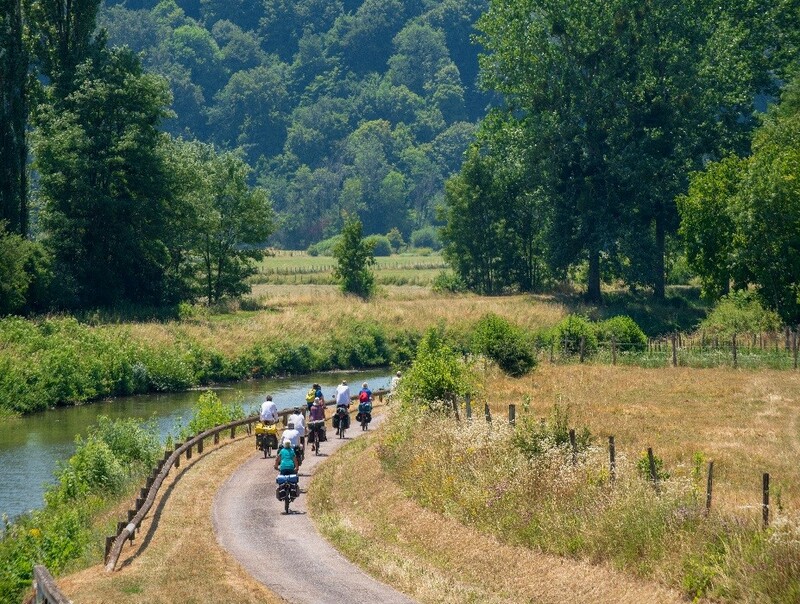 In order to welcome an ever-growing number of enthusiasts, Burgundy-Franche-Comté has put the wheels in motion in an attempt to reinvigorate its vast network of cycling trails and dream up some new itineraries. This is true for the Voie Bressane, an itinerary of more than 70km that connects the foothills of the Jura with the Bresse Bourguignonne area. When it comes to cycling tourism, things are rolling along nicely for Burgundy-Franche-Comté as they continue to enhance their network. More than just a well-managed cycle path, the Voie Bressane is a symbol for this new region of eastern France. 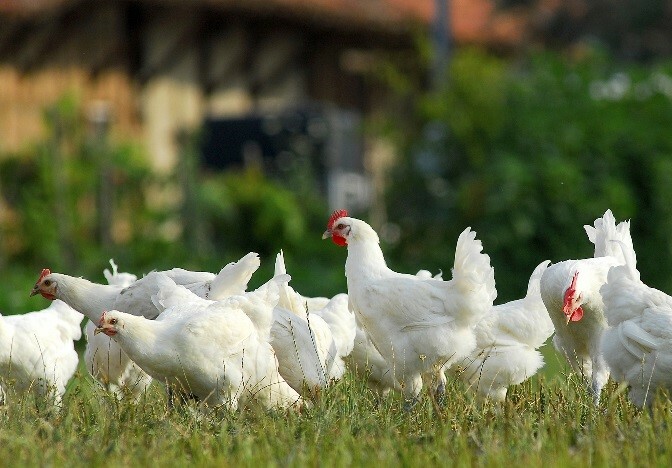 Just like its big sisters, the Echappée Bleue or the Eurovélo6, it creates a link between Burgundy and Franche-Comté that now form one sole region… and Bresse sits right at its very heart. Inaugurated in 2017, the Voie Bressane links Lons-le-Saunier, a spa town in the Jura, with Chalon-sur-Saône in the Saône-et-Loire. Following the path of an old railway line, the 71km trail that runs along Greenway trails and cycle paths is accessible to all with no great difficulty. From tarmac roads that are perfect for leading you out of town to exclusive cycle paths and shared country roads, the trail, which has been enhanced by a number of rest stops, stretches away from the urban area and crosses the villages of the Bresse Jurassienne, traversing farmland, woodland and forests that conceal some especially wild sections of waterways before reaching the picturesque town of Louhans. Riders simply have to stop once they reach the homeland of the famous Bresse chicken. Aside from its famous poultry market on Mondays, Louhans boasts the longest street of arcades (157) in France. This is a gourmet stop that you will soon make up for once you start pedalling into the heart of the Bresse Bourguignonne, a pleasant countryside setting where the ever-popular poultry reigns and where the rivers snake along, until you reach Chalon-sur-Saône, a town of art and history and an unmissable stop along the wine route. In this town flanked by canals and quaysides it is a pleasure to find the turrets, the fortifications, the bastions and the other architectural gems that you can explore as you follow the 3km sign-posted trail into the heart of the historic town centre. Whilst the illustrious hens reign supreme here, there may be a rightful challenger to the crown. No less famous than the local poultry, an icon for an entire generation boasts its very own museum in Lons-le-Saunier. The departure – or arrival – point of the Voie Bressane, the brand new La Vache qui Rit Museum has set up home in the original cellars of the Maison Bel, beneath an elegant contemporary roof made of glass, plants and raw timber. A great reason to keep smiling all the way along this touristic bike trail!